GEAR OF THE YEAR WINNER – RECOMMENDED BY BACKPACKER MAGAZINE. The Solo Stove is the #1 wood-burning backpacking stove recommended by Backpacker Magazine and serious survivalists including Discovery Channel’s Matt Graham. 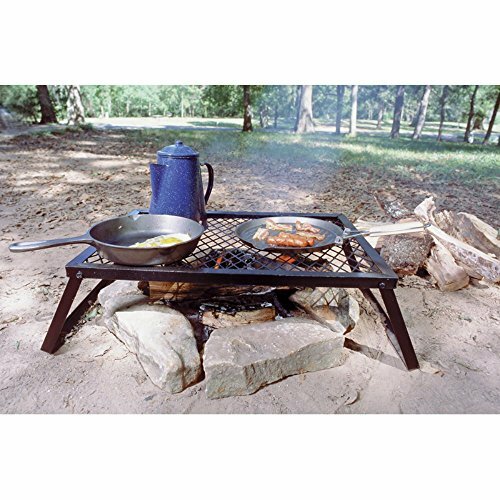 Winner of 2014 Gear of the Year award from 50 Campfires & Section Hiker. 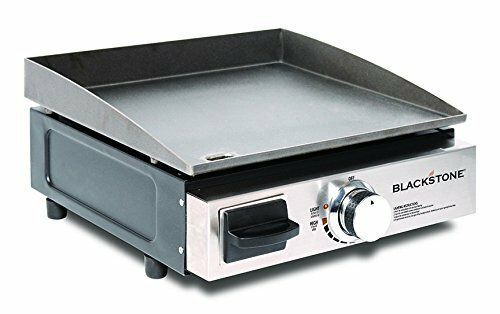 PATENTED DESIGN – LESS SMOKE. 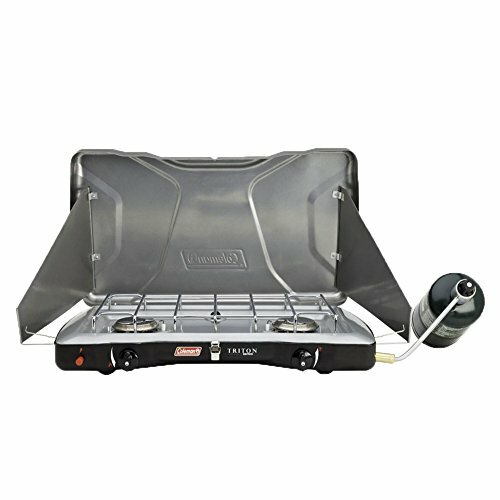 The patented design features a unique double wall that creates ultra-clean gasification and a secondary combustion. This allows fuel to burn more completely and with less smoke. FUEL IS FREE. No more spending money on white gas or expensive liquid canister fuel. Solo Stoves use twigs, leaves, pinecones and wood as fuel. 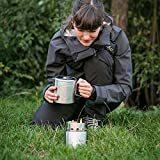 Free up more space in your backpack and eliminate the need to carry heavy, polluting and expensive canister fuels. 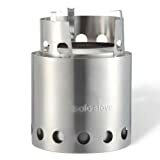 The patented (#D701,721) Solo Stove Lite is a unique wood burning stove that incorporates a secondary combustion for a more efficient and cleaner burn. 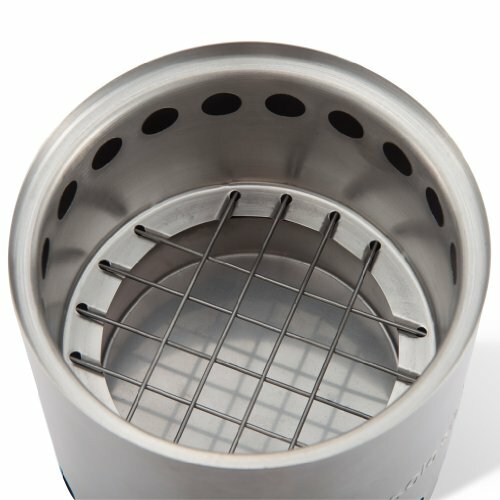 The bottom vents allow air to enter and waft up the bottom of the grate to feed the primary combustion, a top down smolder. In addition, air entering in from the bottom vents heats up within the inner wall and rises up and out the top firebox vents causing a secondary combustion at the top of the stove. 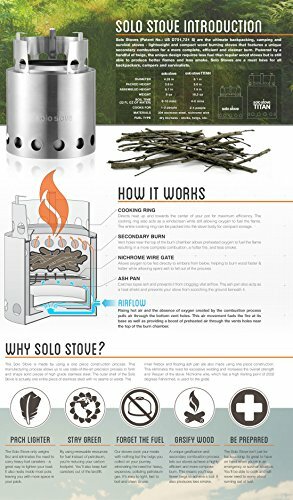 The Solo Stove in reality cooks the smoke out of the wood and then burns the smoke not once, but twice! This technique makes for a cleaner burn which means that less smoke and higher efficiency. 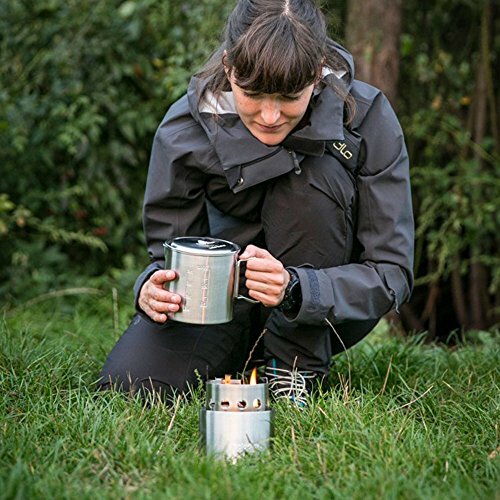 Forget the Fuel: Our stoves cook your meals with nothing but the twigs you collect on your journey, eliminating the need for heavy, expensive, polluting petroleum gas. It’s easy to light, fast to boil and clean to use. Gasify your Wood: A unique gasification and secondary combustion process lets our stoves achieve a highly efficient and more complete burn. This means You’ll be able to use fewer twigs to achieve a boil. It also means less smoke whilst cooking. 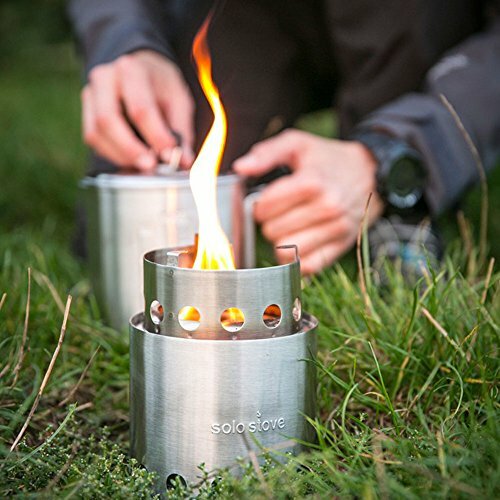 Travel Lighter: The Solo Stove Lite only weighs 9 oz and eliminates the want to carry fuel canisters – an effective way to lighten your load. It also nests inside most pots leaving you with more space in your pack. Stay Green: By the use of renewable resources for fuel instead of petroleum, you’re reducing your carbon footprint. You’ll be able to also keep fuel canisters out of the landfill. 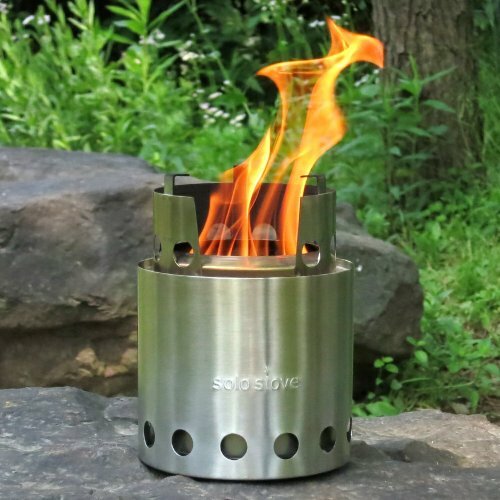 Be Prepared: The Solo Stove Lite is great for emergency situations. GEAR OF THE YEAR WINNER – RECOMMENDED BY BACKPACKER MAGAZINE. 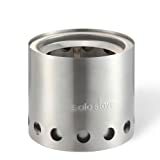 The Solo Stove is the #1 wood-burning backpacking stove beneficial by Backpacker Magazine and serious survivalists including Discovery Channel’s Matt Graham. Winner of 2014 Gear of the Year award from 50 Campfires & Section Hiker. FUEL IS FREE. No more spending money on white gas or expensive liquid canister fuel. 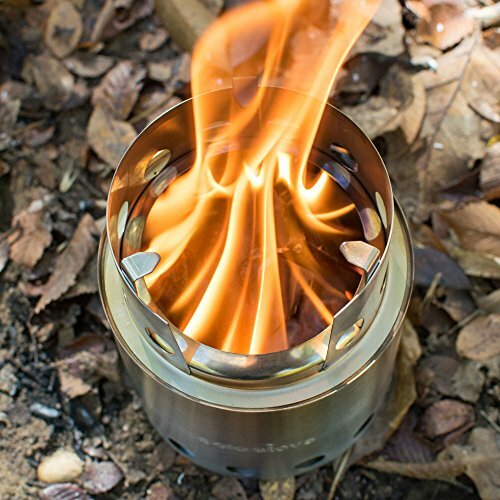 Solo Stoves use twigs, leaves, pinecones and wood as fuel. Free up more space in your backpack and do away with the want to carry heavy, polluting and expensive canister fuels. LIGHTWEIGHT & FAST BOIL TIME. Boils water in 8-10 mins (34 fl oz water). 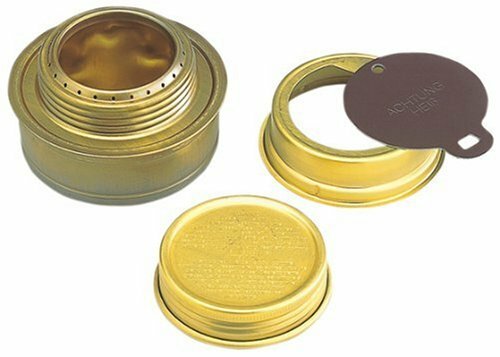 4.25″ Diameter, 3.8″/5.7″ tall (packed/assembled). 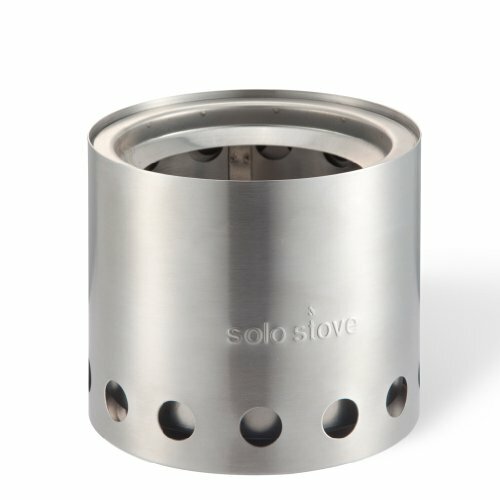 Solo Stove weighs only 9 oz. 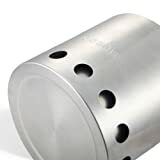 Made of premium stainless steel and nichrome wire. Nylon stuff sack included. COMPACT SPACE SAVING DESIGN. 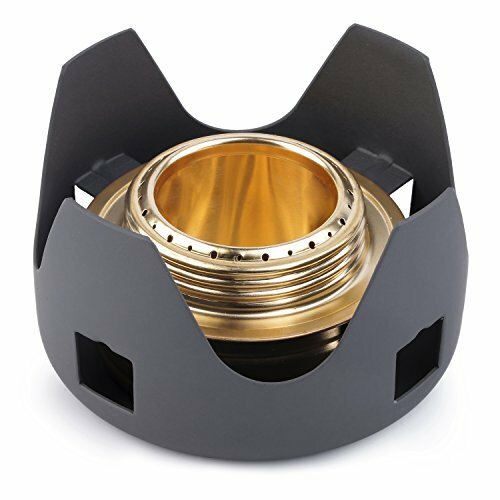 The compact Solo Stove design nests inside the companion Solo Stove Pot 900 (not included) leaving you with more room in your backpack.